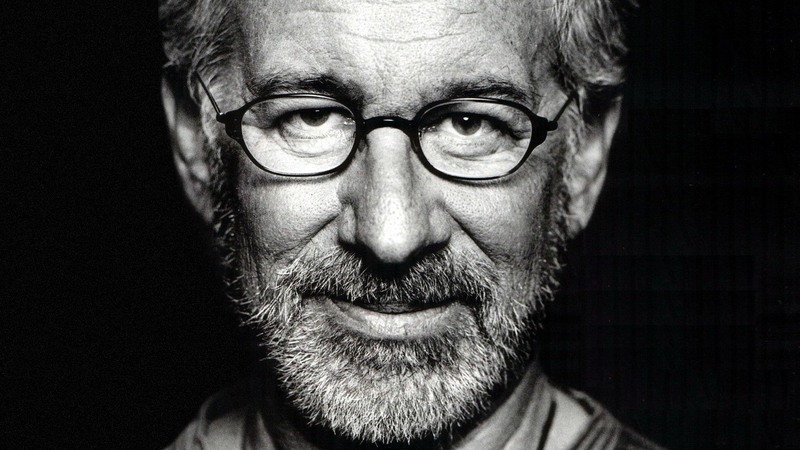 With the recent release of the BFG, today's Top Five list goes to , Mr. Steven Spielberg! One of the greatest directors of our generation. I feel like that is a pretty accurate statement. He has made some classic films, that are adored by fans and critics alike. Made movie moments, that will be in the fore front of our mind for years to come. He personally made me scared to go into the ocean, with Jaws. Now whether you love him or hate him, you can't deny what he has done as a film maker. This will be a really hard list to make. Don't worry '1941' will not be on it! LOL I hope to however to capture some of this mans best work and make a great Top Five. One of the many collaborations Spielberg had with Tom Hanks. 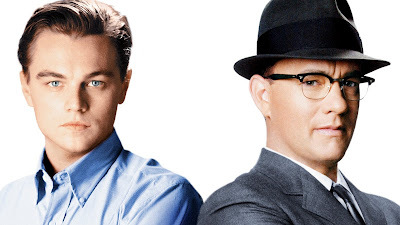 A movie with great Dicaprio and Hanks performances, that I feel is a very underrated film. A movie with such star power in front and behind the camera, it only managed two Oscar nominations (Christopher Walken and John Williams) A cat and mouse film executed to perfection. The most heart pounding opening sequence you could of ever wished for. 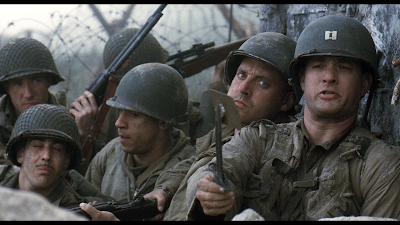 Saving Private Ryan is another well acted and well directed film. This movie should of walked out with the Best Picture Oscar! At least Spielberg walked out with Best Director. Tom Hanks, leads an all star cast (Tom Sizemore, Edward Burns, Barry Pepper, Adam Goldberg, Vin Diesel, Giovanni Ribisi, Jeremy Davies, Matt Damon) just to name a few. Arguably, one of the best war films of all time! Spielberg directs one of the greatest adventure movies of all time! Get use to hearing greatest of all time when it comes to Spielberg. Casting Harrison Ford was a risking move that payed off for Spielberg and Ford himself. The question here was if Ford was only going to be remembered as Han Solo. Well guess what, this character is even better. 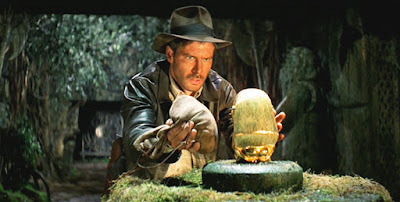 Indiana Jones, is one of my favorite movie characters of all time and this movie is one of my favorites. Raiders of the Lost Ark is a work of art, from the action, to the script, even to the amazing score. Film making rarely gets better then this! When I was younger, this film scared the crap out of me. I hated swimming in the ocean and still till this day am very weary of it. To me that makes a great film experience, how it sticks with you. I recently watched it again and enjoyed it just as much. Roy Scheider, Richard Dreyfuss, and Robert Shaw are crazy film characters that have become larger than life. Dreyfuss is a truly entertaining actor and his character is the same. The music is so iconic as well. 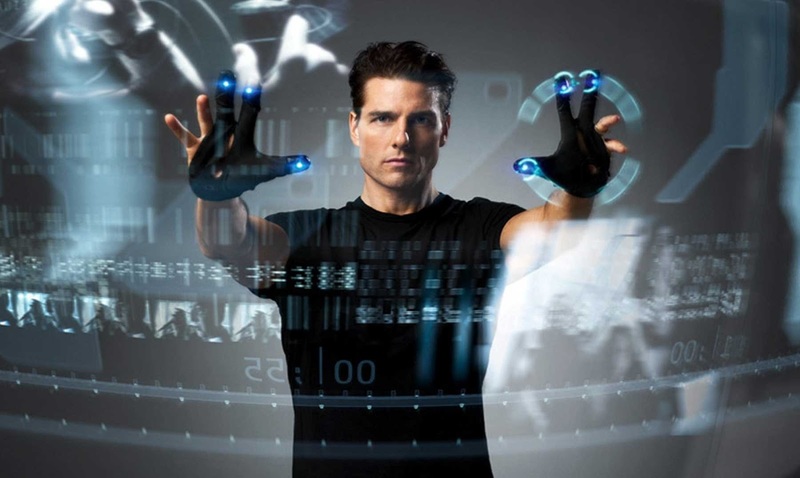 Minority Report is not only my favorite Spielberg film, it's arguably one of my favorite films of all time, too. This gritty, crime film has one of the best Tom Cruise performances of all time too. I love the concept that Spielberg creates, it's very unique and innovative. When you first watch it, you are taking on an amazing ride that keeps you guessing from beginning till end. Another one of Spielberg films that got mostly over looked at the Oscars (Best Sound Editing), but will forever live on in my film library and the amazing filmography of Mr. Steve Spielberg! 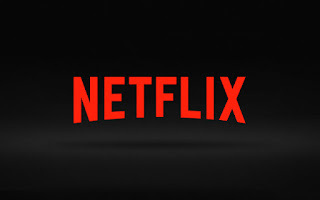 Streaming services like Netflix are revolutionizing the film industry. It seems like there are more and more things being made and produced to go straight to streaming. 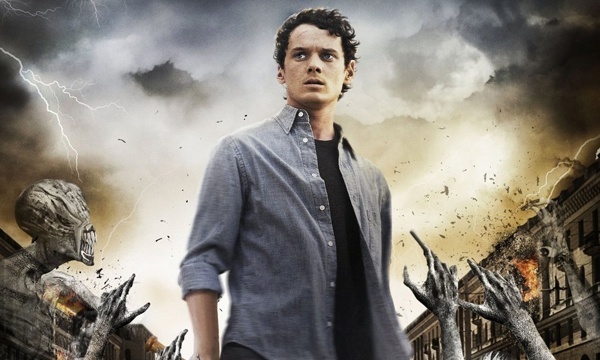 Television shows have been the primary focus so far, however some movies have started to permeate. Netflix currently has a deal with Adam Sandler for his recent run of movies, but if you have seen the types of movies he has made for them (The Ridiculous 6, The Do-Over), Netflix might want to take back their deal. The movies that have started to make this a viable option are films like Beasts of No Nation which many people believe would have been an Oscar nominee if it hadn't been a Netflix release (although some would try to blame it on race). 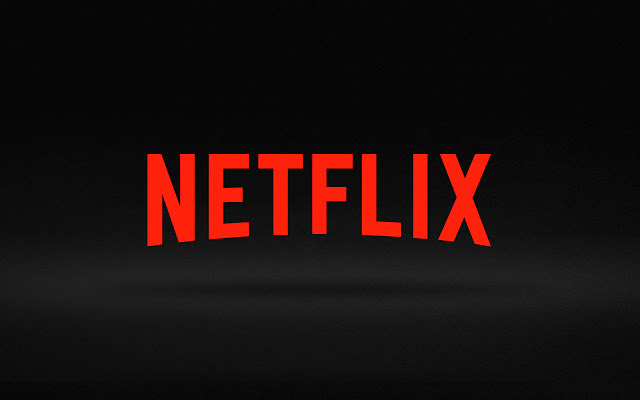 The latest Netflix feature film is continuing to show that quality can come from films that debut on the internet. 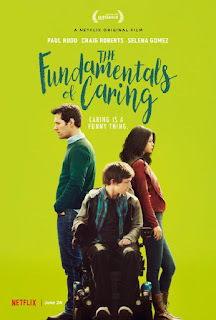 The Fundamentals of Caring stars Paul Rudd as ... well, Paul Rudd. His character's name is Ben, but the characteristics of Ben match most roles Rudd plays. Ben is a more tragic turn on the traditional Rudd persona though. He is a man down on his luck that is searching for new purpose in his life. He tries out a new job of being a professional caregiver. His first assignment is a boy named Trevor (Craig Roberts). He is suffering from muscular dystrophy and is confined to a wheelchair. His mother has yet to find a caregiver that will put up with Trevor's quirks. It is quickly apparent that Ben is the perfect caregiver as he has the wit to match Trevor's sense of humor. In the first interactions between Ben and Trevor, you realize this is a different type of movie. Instead of being the traditional, inspirational, coming-of-age tale you might expect out of such a situation, it instead turns into a buddy comedy with flashes of a coming-of-age story. In between scenes of Ben and Trevor hilariously bantering back and forth, Ben helps Trevor break out of his shell and explore the world as they decide to go on a road trip to see worthless landmarks like the World's Biggest Bovine and the World's Deepest Pit. Along the way, they meet some new friends as you continue to enjoy just being a fly on the wall in the lives of this match made in heaven. Like I said, Paul Rudd is not forced to stretch his acting chops very much. There really is no problem with that though. Paul Rudd is one of those actors who seems to be endlessly entertaining just being himself. Whether it is being Phoebe's husband in the final season of Friends or being the most refreshing part of the newest wave of Marvel movies, Paul Rudd has shown that it is entertaining just seeing Paul Rudd being Paul Rudd. 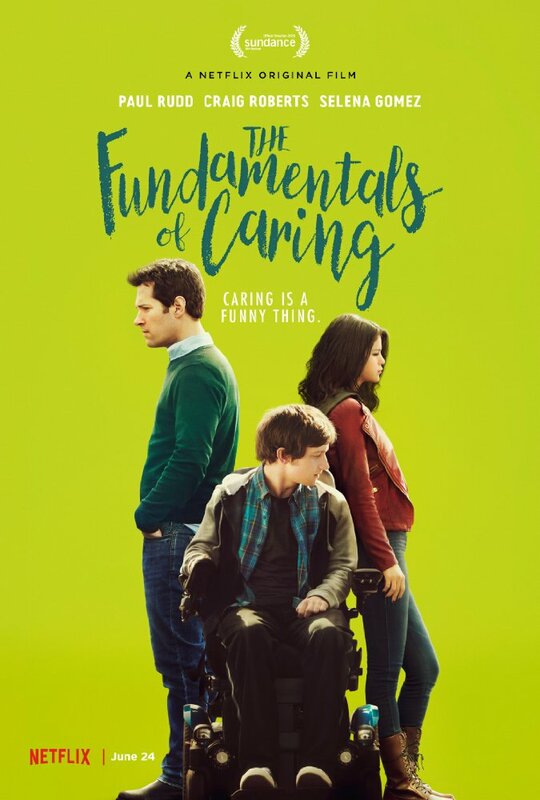 The real revelation in The Fundamentals of Caring is Craig Roberts. He has had minor roles in some notable movies in the last few years, however he truly shows his capabilities in this performance. I was also pleasantly surprised by Selena Gomez. This is the first time I have seen her act since Spring Breakers ("Spring Break Forever! ), and she is not one you think of when considering young acting talent, but she fits right in with this dysfunctional pair. Lastly, it's always nice to see Bobby Cannavale in anything. Rob Burnett is not what you would consider a household name when it comes to quality film making, however he is a veteran of the industry. His most notable credits are writer and producer of the early 2000's show Ed as well as head writer and executive producer for The Late Show with David Letterman. Knowing just that alone shows how talented he is. As Burnett is trying to blaze a path in film, this movie will definitely help his standings. The Fundamentals of Caring is a breath of fresh air. If there was one critique I would have, it would be with the ending. It ends a little too cliche and conventional than the rest of the movie deserves. However, it is not something that, I would say, ruins the film. I just wish it were a little different. Overall, this film is definitely one worth seeing, especially since all it takes is to log in to your Netflix account and click on it. As I was preparing to do the next power rankings, I went to IGN.com to see some of the latest entertainment news. 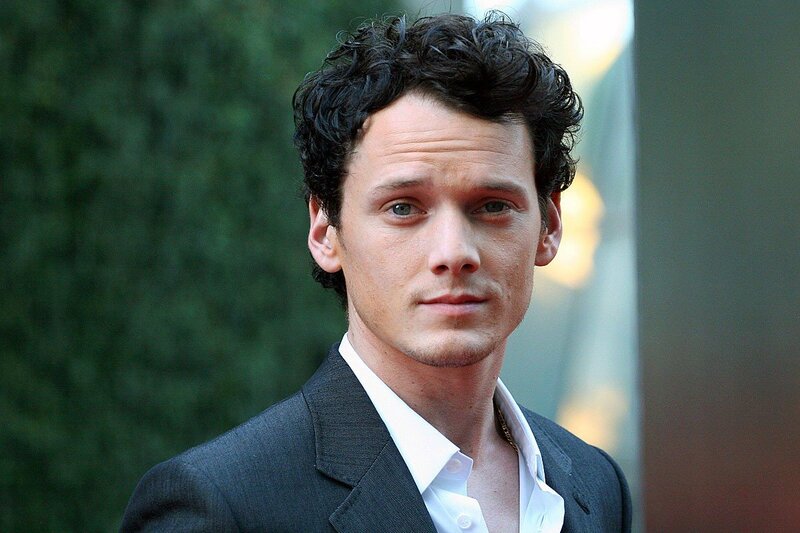 I came across the article saying that Anton Yelchin had passed away, he was 27. He wasn't the most well known actor around, and I haven't seen many of his films. 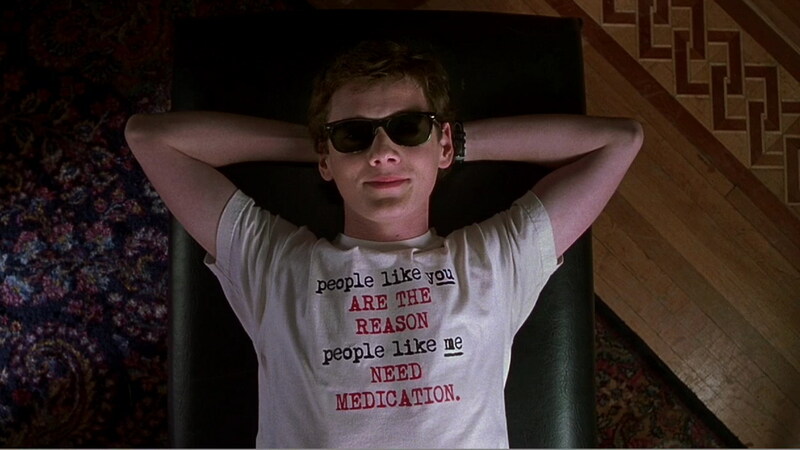 But when he was on screen, I always liked what he brought to those films. He had a charisma, that I felt popped of the screen. With his passing, lets take this moment and remember what a brief time we have and also reflect on a few of his films. Not a huge role, but a character we remember from previous films. He reminded us of a few moments in previous films, if it was a line of dialogue or an interesting action. He added his humor to this role. 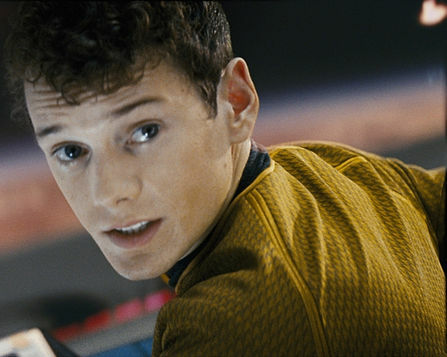 One of my favorites of these Star Trek films, was his role in them. What a very underrated film. If you haven't seen or heard of this film, go check it out. It's a fun ride! The number one role, has to go to the first film that I seen him in. His chemistry with Robert Downey Jr was good. He showed off his ability to be a star! What roles did you like? 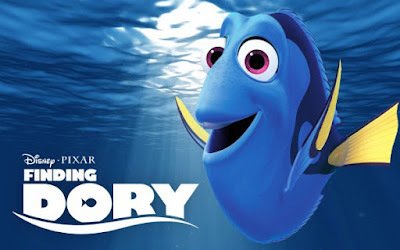 With the release of the newest Pixar film, Finding Doy, lets count down the Top Five Pixar Films! Now all top list are subject for debate and discussion. So lets start one, here is my list! Wall-E. I remember watching this film in theaters, with a ton of kids and their families. I know i left the theater with a greater appreciation of this film then the kids did. That's what makes Pixar so great, their films are entertaining for kids and thought provoking for adults. 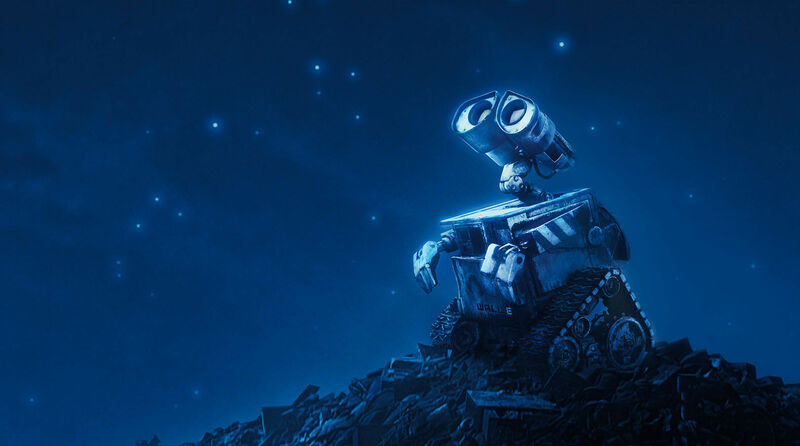 The one that started it all and made Pixar a force to be reckoned with in animation. This was every kids dream, to make their toys come to life. Buzz and Woody are the greatest characters that Pixar have ever created and the most endearing as well. This film answered the age old question, Is there a monster in my closet? The monster's inc. universe is such a fun and interesting place to be apart of. I loved every minute of it. I was glad that Pixar made a sequel to this hit film too. Though, it didn't live up to the original. One of the newest additions to the Pixar filmography. Inside Out has to be the craziest idea for a film, that has the best pay off! It is a movie that made me cry, several times through out and made me laugh just as much. It should of gotten some best picture love at the Oscars in 2016 but at least it won, best animated film! 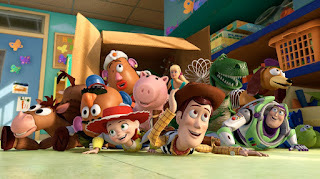 Now if you would of told me, that back in 1995 when the original Toy Story released that it would be the beginning of a trilogy, I wouldn't believe you. The reason why is because I didn't know what a trilogy was back then and that I thought the first film was perfect as is. 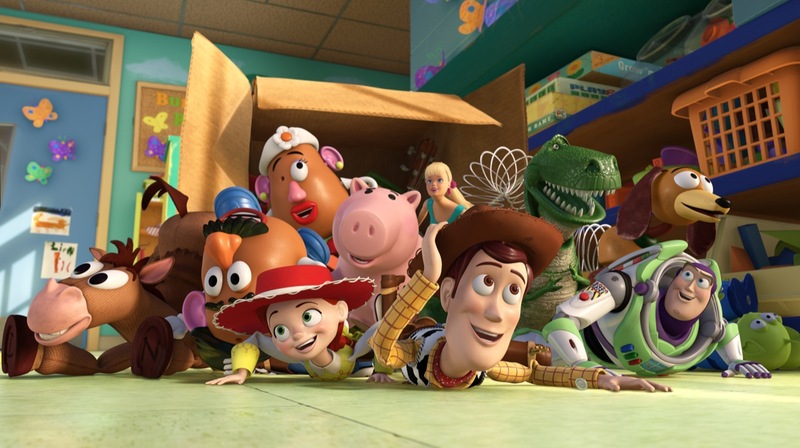 With each chapter of Toy Story films, you can see that Pixar has love for these characters. This is their baby and they totally don't want to put out a bad film. What a heart felt, tear jerking, and fun time this film showed us! Totally worthy of the top spot on my list and other peoples list as well! Pixar is money $ when it comes to films! What is your top five films?